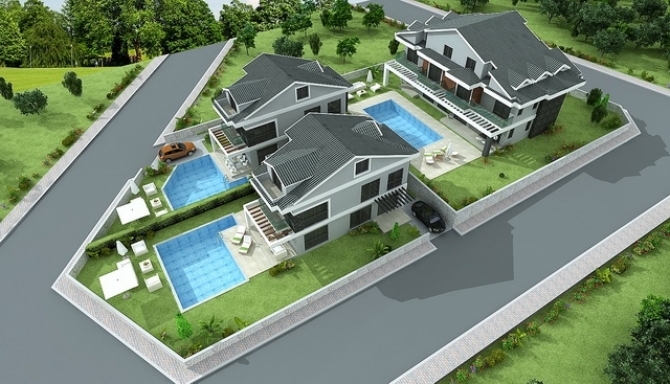 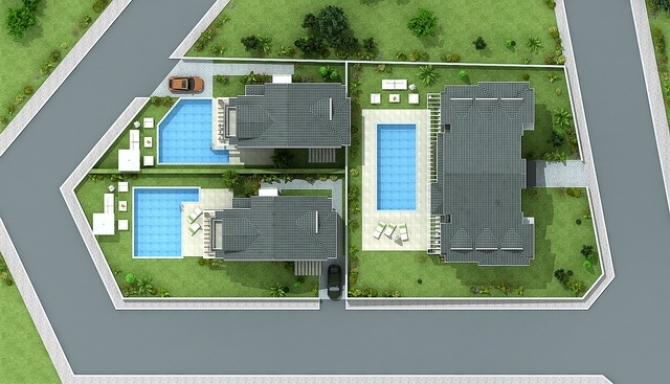 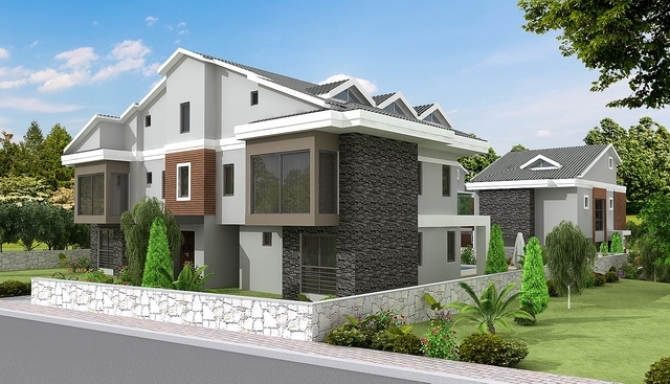 Just 2 stunning off plan villas set in central Hisaronu. 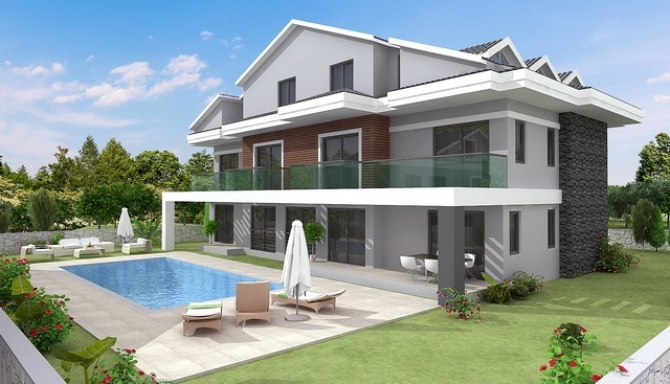 These 4 bedroom en-suite villas located in central Hisaronu surrounded by the luscious scenery and the wonderful fresh perfume of the surrounding pine forests. 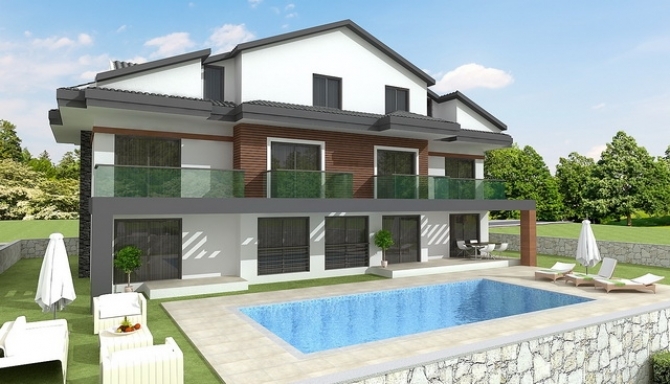 These villas are very modern of design and have a light, airey, and spacious feel consisting of open plan living/dining area, kitchen , large sun terrace, private pools and landscaped gardens.